At Cash For Cars VIC we offer premium Cash For Scrap Cars Melbourne wide up to $9,999. We are able to remove your car on the very same day you call us or whenever it is convenient for you. We are a part of the car recycling industry that takes pride to ensure eco-friendly standards in the wrecking process. We properly scrap cars in Melbourne and recycle them in the most responsible manner. Cash For Cars VIC has the aim to make selling and paying Cash For Scrap Cars Melbourne wide easy and convenient for our customers in Melbourne, Victoria. We are the number one cash for car company in the automotive industry in Melbourne. We have the best team of tow truck drivers and staff who are not only punctual but very courteous as well. We will pay you cash on the spot before towing your scrap car for free. You can sell your scrap car on the very same day you call us or on the day, time and location of your preference. You can count the cash while we take care of all the paperwork completed by our staff, for free. At Cash For Cars VIC, we recycle each and every part of the car, removing all the liquids, battery, tyres, etc before salvaging the metals from the car. Selling your scrap car to us for cash really takes out all the hassle on your part and makes getting rid of an unwanted, scrap car from your property easy. There are absolutely no fees or any hidden charges involved in the process. You will get the same amount that was offered to you by our representative on call, which means we will not negotiate with the agreed scrap car value nor will we waste your time during the pick-up time. How to Get Cash for Scrap Cars in Victoria? You can easily make some cash if you have an old or broken down scrap car sitting in your garage. All you need to do is call us to schedule a time, date and day of your convenience to remove your car from your property. We will come to your location anywhere in Melbourne to pay you cash for your scrap car and then take it to our wrecking yard to begin eco-friendly recycling. Why Sell Your Scrap Car to Us? Selling your scrap car to us is not only good for the environment but also helps boost the nation’s economy. Your scrap cars are worth much more than you can imagine. By recycling your scrap cars, you can help us keep toxic waste materials out of landfills, reduce carbon footprint and greenhouse gases. 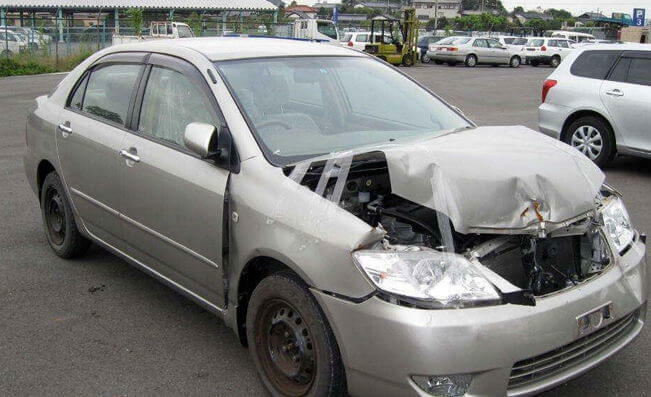 Scrapping your car for cash also helps other consumers buy used car parts from our facilities at cheaper rates. Do not delay in selling your scrap car to us because the sooner you recycle your car—the more used parts and materials can be salvaged. When you are ready to sell your scrap car for cash and make top dollar cash up to $9,999 from it, get in touch with one of our friendly customer care representatives and we will take care of the rest. Call 0423 199 008 or send us an email at info@cash4carsvic.com.au.